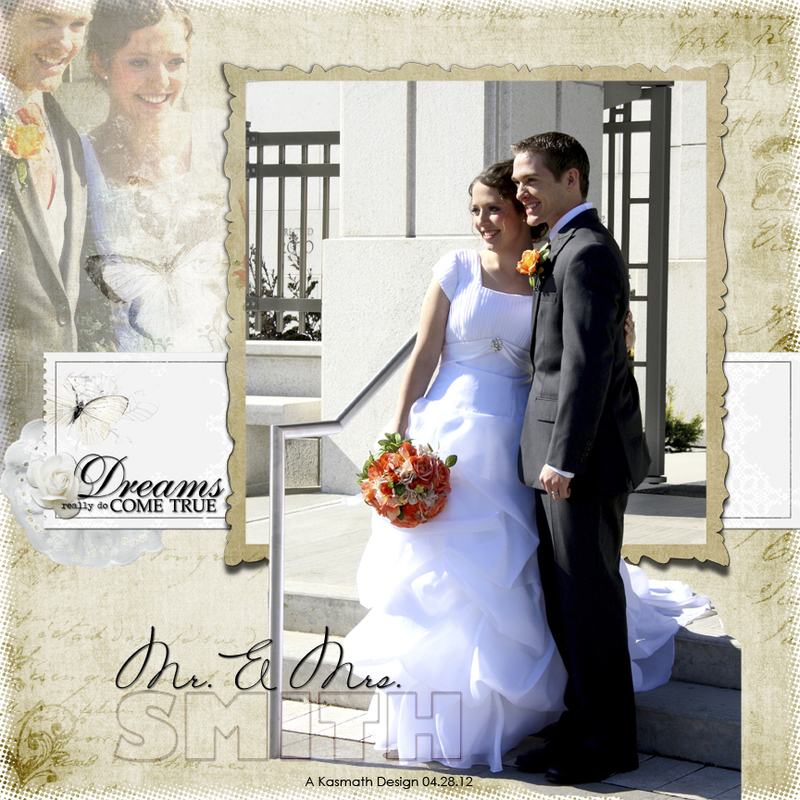 I was so happy to have scrapbooking time again now that the wedding of Kevin and Melodie is over. This was a picture of them taken outside the Vancouver BC Temple, of the Church of Jesus Christ of Latter Day Saints. As mother of the bride, I didn't have a lot of picture taking time so I am anxiously awaiting the professional ones. I loved these ones though and had a fun time making this page. This will be a wedding present when they get home from their honeymoon. I'm still using Jana Morton's blending techniques (http://creativepassionclasses.com/workshops/jana-morton/) and this page uses a lot of Katie Pertiet's ArtistrydeBlanco Digital Scrapbooking kit (http://www.designerdigitals.com/digital-scrapbooking/supplies/product_info.php/products_id/12542).